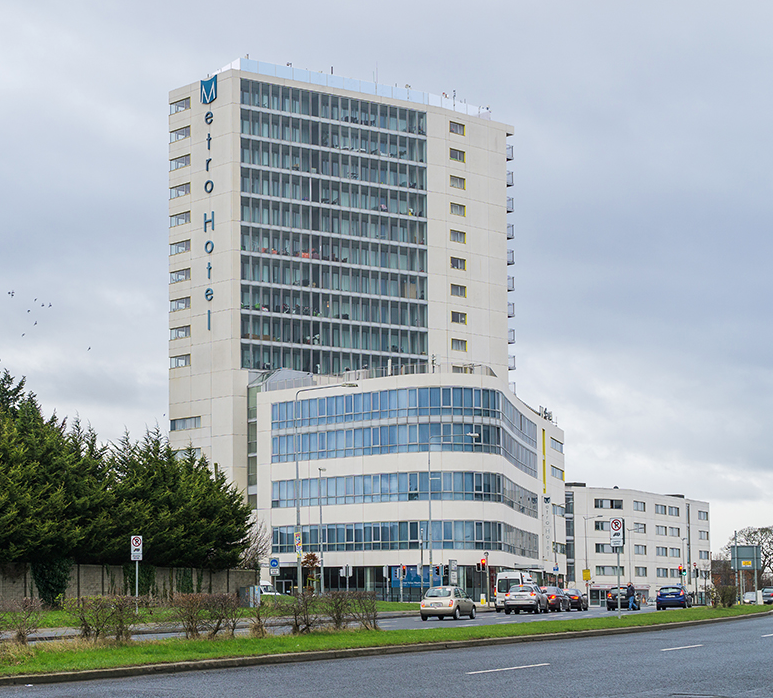 Walls has been appointed as the Main Contractor on a new project to reinstate and upgrade the exist­ing finishes of The Metro Hotel and Apartment building in Santry Cross, Ballymun following damage from a fire in 2018. The building comprises of 30 apart­ments and 88 hotel rooms, from the basement to level 15. The project has a contract value of €10.18 million and is planned to take 38 weeks with a completion date of 16th August 2019. The work will involve the removal of the existing curtain walling, screens and punch windows to the apartment building and replacement with new identical windows and screens. All 10 floors of apartments are stripped back to the bare structure and require the full fit out of the 30 apartments, including the replacement of the lifts. The hotel suffered substantial water damage from the fire and requires the full fit out of circa 30 hotel rooms with substantial works to the remainder. The lower level of the hotel requires full refurbishment and the reconstruc­tion of large areas of the basement facilities. There are significant fire­proof upgrade works are required to all areas of the apartment and hotel.